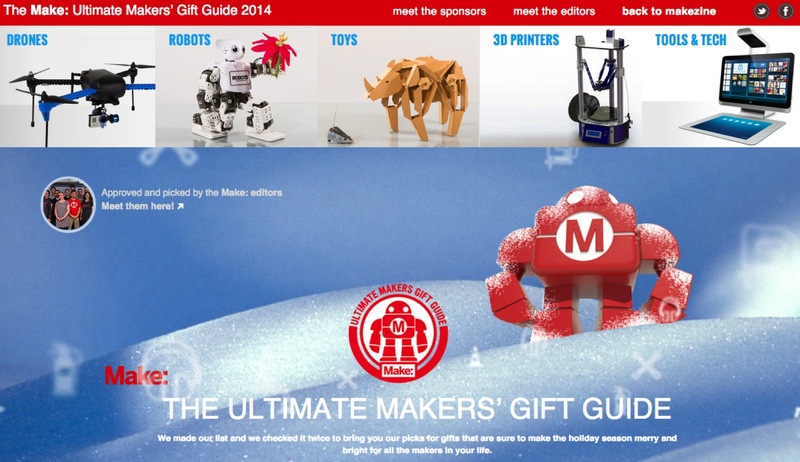 Ultimate Makers’ Gift Guide 2014 @make @makershed @calebkraft « Adafruit Industries – Makers, hackers, artists, designers and engineers! The Make: Ultimate Makers’ Gift Guide 2014. The gift-giving season officially kicks off this week — and we’re here to help with our Ultimate Makers’ Gift Guide for 2014. Our five experts pored over hundreds of items to hand select the bright and shining stars in five of our favorite categories. They’ve double- and triple-checked their list, and provided it for us to share with the world. Inside you’ll find a wide variety of great gifts for all skill levels.